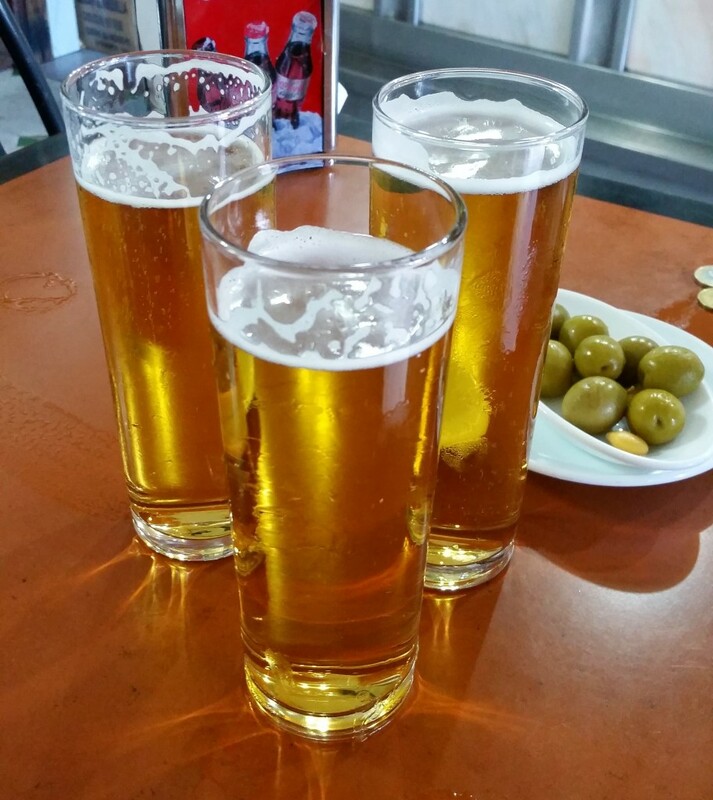 Sharing is caring, and Spaniards do a whole lot of it over beers and food. 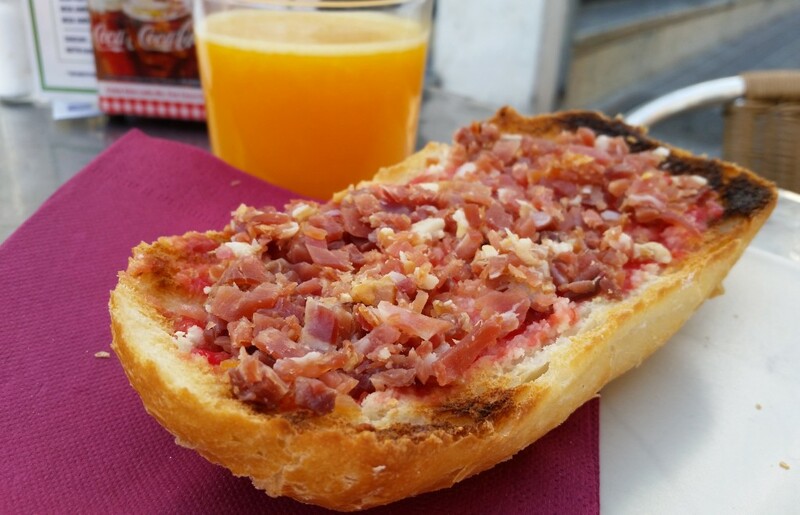 When in Spain, you should obviously eat like a Spaniard–and this includes inevitably being thoroughly involved in the culture of enjoying drinks and food. Here, true immersion into Spain means nabbing your regular doses of cerveza and tinto de verano in bars as you socialize for what could be hours over tapas, which are small portions of typically savory food that serve as your table’s centerpieces. You eat, drink, share and be merry. And now, it’s your turn. Get yo’ free food in the land where dreams of free food actually come true. Spanish tapas have humble beginnings. People basically wanted to prevent fruit flies from entering their drinks between sips. They did this by placing tapas (literally the Spanish word for “covers”) such as bread or slices of the ubiquitous jamón over their glasses’ rims. Over time, this habit evolved into the tapa system Spain has today. Why? One reason: salty food increased alcohol sales. The food also helps buffer the alcohol’s effects. While it’s not always 100% guaranteed that the bar you go to will give a complimentary tapa, it’s safe to openly ask the server and go from there. Usually, three to four tapas can be enough to fill a person up and count as a meal. With the tapa culture, people take their time with their drinks and chatting, sampling bits of different taps altogether. Just like any cuisine and food, there are varying levels of tapa quality that you can find in Spain. Typically, bars will serve tapas such as (but definitely not limited to) bocapizzas (a.k.a. mini “pizzas”) and pinchos, which are small slices of bread layered with certain toppings. Some bars might require that you buy an alcoholic beverage to get a free tapa with it, but more often than not, non-boozy drinks are just as doable. With restaurants, you’re bound to have more variety and better quality since people expect to be leave full. Racion sizes–which are a notch above tapa size–or even bigger are available so that everyone can try different plates. 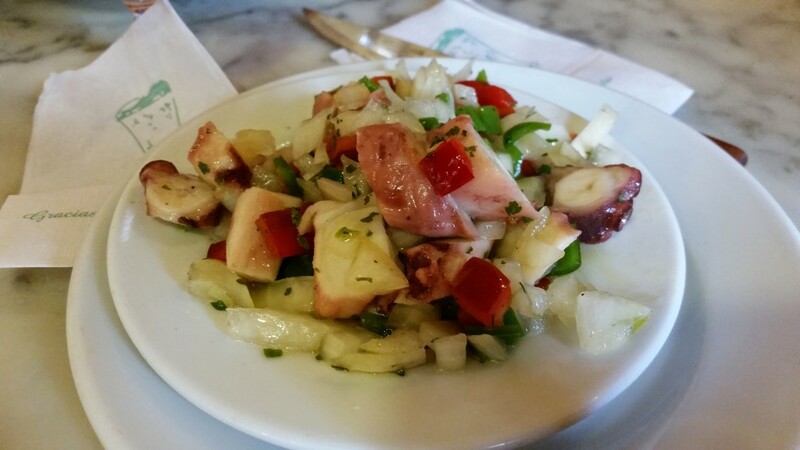 In Seville, one popular spot I personally tried was Taberna Coloniales, which served everything from fresh pulpo a la gallega (seasoned, boiled octopus) to hearty cojonuda (quail eggs and chorizo on top of bread slices). Needless to say, I inhaled both–and then some–with some sangria, which is actually not drunk by locals very often at all. Hey, sometimes you gotta embrace the indelible fact that you’re a foreigner.